Ivan Vasiliev continued his successful season with victory at the European Championships in Alanya. The Russian looked comfortable throughout the race but he needed every second of his lead after a remarkable charge from Mario Mola. Alessandro Fabian (ITA) raced superbly to win his first Elite European medal and Mola was simply sensational, making up a deficit of 1 minute 44 seconds to climb from the chase pack to third over the 10km run. 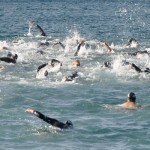 After a clean start it was no surprise to see Richard Varga emerge from the water after the two lap swim course in front. Varga is a superb swimmer but he was followed by Vincent Luis (FRA) and Maximilian Schwetz (GER) out of the water just a few seconds behind. 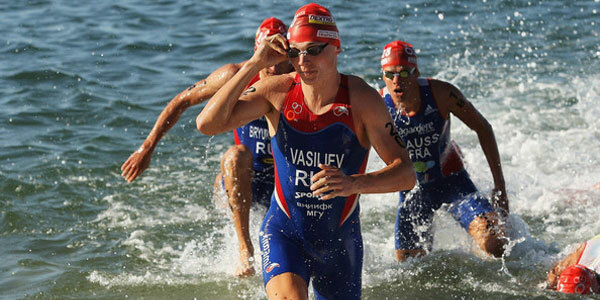 Alessandro Fabian and Pierre Le Corre (FRA) followed with Vasiliev amongst the front runners to exit the water. A group of 14 exited T1 together but ten made an immediate breakaway and set a thrilling pace around the six lap bike course. Polyanskiy (RUS) was the first to fall from the lead group and after four laps Richard Varga unfortunately suffered a puncture. The lead group was therefore down to eight but Vasiliev, Luis and Fabian continued to push the pace alongside Marco Van der Stel and Schwetz who were riding superbly. The lead over the chase group increased lap by lap and was 1 minute and 44 seconds by the time the leaders turned in for T2. But Mario Mola (ESP) was part of the chasing pack and it soon became clear that no lead is too big for Mario as he hunted down and caught those in front of him. Vasiliev had broke away on the first lap on the run and Fabian, Luis and Schwetz were isolated and battling it out for the remaining podium spots. But behind them, Mola was relentless. He was up to 7th after two laps and with a lap to go he was 5th. It meant the front runners couldn’t afford to relax but both Vasiliev and Fabian continued to run well and Vasiliev crossed the line to become the first Russian European Champion. It’s also his third podium in Alanya in two years after a third place in 2011 and a win in last year’s European Cup. 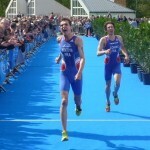 Alessandro Fabian was delighted to claim his first European medal. 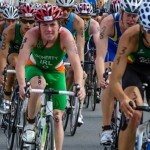 He said: “What an incredible race, it’s my first medal and I’m very happy to finish in second place. The incredible Mario Mola wowed the crowd with his pace, recording a 29.05 10k split, but he paid tribute to Ivan Vasiliev: “The winner today is Ivan and Alessandro. We worked hard on the bike but they also worked hard and we couldn’t catch up. The first group worked very well and I have to congratulate them.